We've also been getting a lot of rain and Geri the Wonder Dog left her toys outside, by the time we found them they were in a terrible state and simply had to be thrown out. Geri adores her tug toys, so I used all those old pants to make a nice big batch of new toys that should see her through the next year or two, assuming she doesn't go hiding them in the back yard. I'd already cut up the inner seams and removed the waistbands. All I had to do was cut along the outer leg seam and square up the other side so as to get two long rectangular strips out of each leg. Then it was just a matter of tying the ends together in lots of 3 strips, plaiting the strips and knotting the other end. Well that depends, I set aside the pants in Dec 2014 and cut out the pattern pieces for the top in April this year. Either way, it's been far too long to have been storing them. Well I've still got that top to stitch together once the weather has warmed up enough to spend time in the sewing room. Last week at Finish It Friday I was hopeful of starting on the edging for the little granny squares project. I've done some testing of my edging ideas but it's all come to a halt due to my shoulder. If you're new to Finish It Friday and you're not familiar with the little granny square project you can find the links to all the updates on it in last weeks post. Some. I can't wait to get back to working on it. It was fun right up until my shoulder started with the shooting pain thing. I'm determined to finish this project! 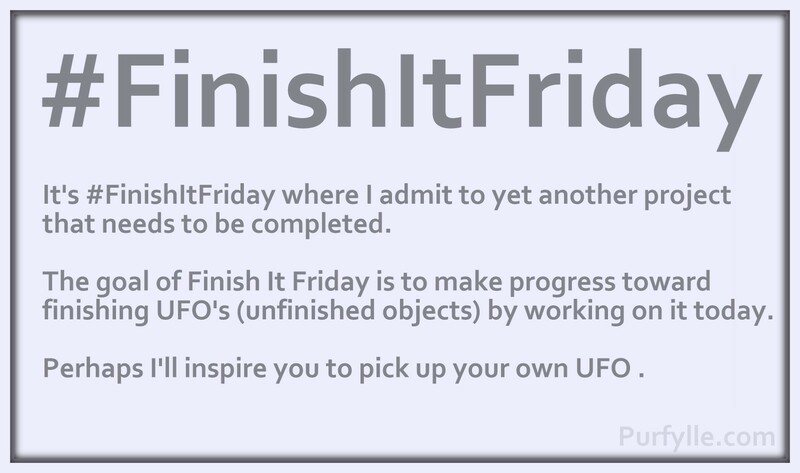 That's it for another week of #FinishItFriday. 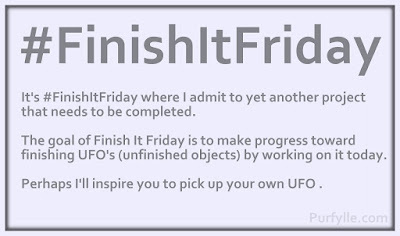 Happy Finishing! Twitter , Google+ , Facebook , and Instagram . I'll be looking for them to share but it always helps if you remember to tag me at Purfylle. 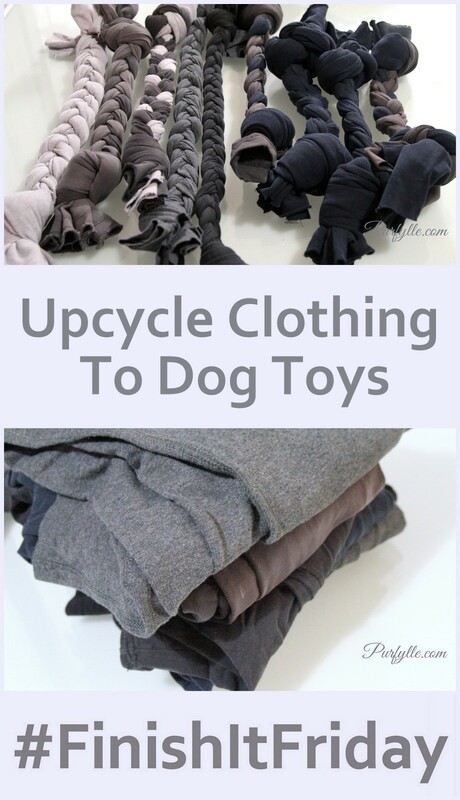 What a clever repurpose or reuse or recycle of old clothes. Love it Stella, and the fur babies will be so happy! Stop with the hurting yourself!! I mean it!! Great job!! Geri loves you even more now! Oh no, that shoulder again! Rest and ice for you. My pup would have loved this if he was still with us. He always destroyed store-bought toys, so I was forever trying to come up with cheap recycled toys for him. Love this idea. Thank you.